Choosing the right lantern for your space may be a bit difficult when you don’t know what to look for that will suit you specifically. Whether you’re buying for a backup light in your home, or you need one for a camping trip, knowing the difference before investing your money can save you the hassle of buying the wrong lantern for you. 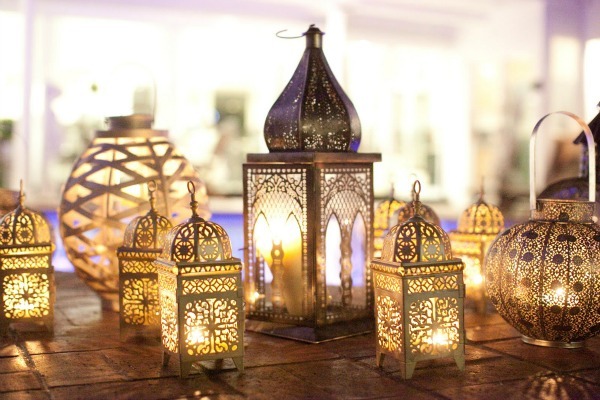 There are many different lanterns available on the market now, traditional candle lanterns are still available, the classic gas powered lanterns, and even modern LED lanterns. Selecting the right one for you will all be a matter of personal choice, hopefully comparing these lanterns side by side will give you clarity and make your decision easier. Electric lanterns, are usually battery powered and fitted with a LED light. Some of the pros of an electric lantern include long battery life, quieter than gas lanterns, have a decent light output, can handle vigorous use and are safe around children as there is not heat. The downside is that the battery life doesn’t seem to last very long and disposing of them might prove tricky. Classic gas powered lanterns have the advantage of being able to run on a few different fuel sources and depending on what you need you should choose your fuel source accordingly. Liquid fuel can be put in a refillable tank and is fuel efficient. Propane can also be put in refillable tanks and is also fuel efficient, and Butane can be put in disposable tanks, which can make it compact, and easy to use and dispose of. The biggest advantage is that no other lantern shines as bright, the light emitted from a gas powered lantern cannot be beaten. So if you are looking to light up a large area then a gas lantern is your best choice. Some of the downfalls include that most models are quite heavy, bulky and can be quite noisy, they generate heat which makes them unsafe for children, and you cannot use them in small, closed spaces as they produce dangerous fumes. The more traditional choice would, of course, be a candle lantern. The pros are that it gives off a beautiful soft light that can create an enjoyable ambiance. It’s also useful when doing something like writing or reading in the dark providing just enough close-up light. If you, however, need a little extra from a candle lantern you can always purchase reflectors that fit inside to increase the light. This soft lighting may not be ideal for everyone, especially if you’re looking to light up larger space. Because it is a traditional candle, fire safety is important and keeping it away from flammable items. The lantern itself can also heat up and can be quite hot, so ensure small children do not touch or playing with it. There are a few factors you need to consider when choosing a lantern for purchase. Light output is one of the things you will need to look at and decide how much lighting you want for your space. 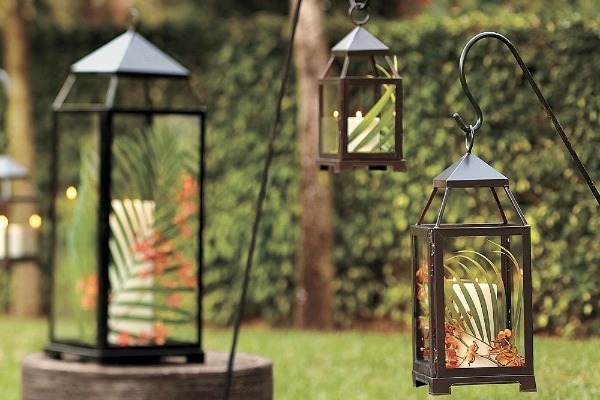 Gas lanterns burn the brightest so if you are looking to be outdoors, and light up a big space then a gas lantern is probably your best option. If you again are looking to light up a big space but want to do so indoors as well as outdoors, then an LED lantern is probably the right one for your needs, but be aware, LED lights that are brighter usually will drain the battery life much quicker than a dimmer light. Candle lanterns, of course, are not very bright so if you’re looking for a lantern for some late night writing or reading, or even as a decorative piece then this is the lantern for you. 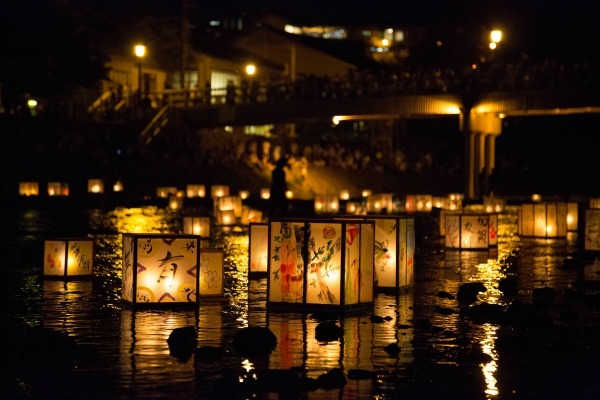 The burning time for each lantern will vary, and depending on how long you need to use a lantern for, the average burning time could alter your choice. Say if you are headed on a camping trip you may need to weigh up all the times you will need to refill gas, or replace batteries and see which one comes out easier, cheaper and hassle free. The manufacturer will usually supply some kind of estimate comparing to 1 tank of gas or a set of batteries for measurement. Candles, of course, will also have an estimated burn time according to the shape of the candle. The settings on your lantern will also play a role in how long the burning time will be, most come with settings for greater or dimmer lighting. Naturally a lantern burning on the highest setting will burn out faster than a lantern put on a lower setting. There are a few other tips and tricks to take into consideration. If you decide on buying an LED light do not use lithium batteries unless instructed to by the manufacturer, you may damage the lantern. Fuel lanterns need cloth mantles to burn; if you’re planning to use one for a longer period of time make sure to keep replacements nearby. Make sure you consider weight if you plan on carrying a lantern around for a while, a gas lantern can be quite heavy and awkward, LED lanterns are light and easy to carry.